Trust our certified E-Bike Technicians to diagnose, service & repair your electric bike. All our technicians store are fully authorised to diagnose, service and repair almost any electric bike. Our Certified E-Bike Technicians are here to help, whether it’s a software update, full service or custom build. We have the knowledge, support and experience to get you back on the road fast. 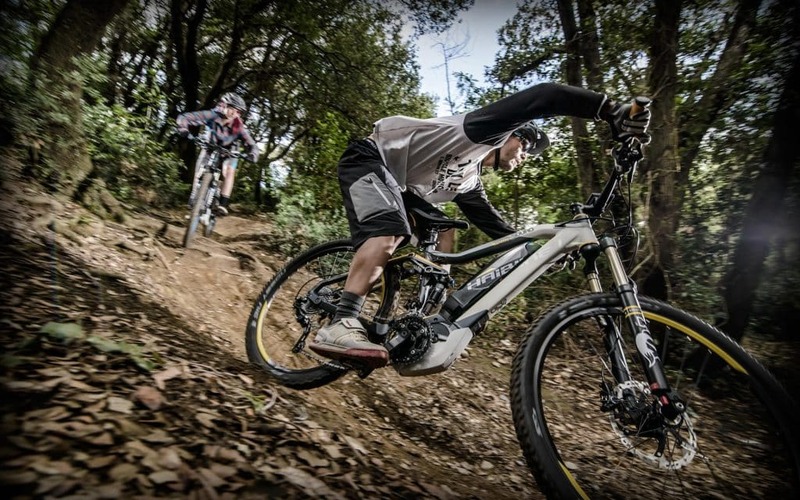 We service and repair most types of e-bikes in our workshop and can service anything from Bosch, Yamaha and Shimano Steps, as well as the Kalkhoff Impulse motor. We are a Bosch Expert Service Centre and also a Shimano Authorised Service Centre. Our workshops are equipped with all the latest diagnostic systems to fully support & look after your bike. When you bring your bike to a Rutland store for a repair or service, if we can’t carry out the work while you wait, we’ll offer you a free courtesy e-bike until the work’s done (subject to availability). Whether it’s for a service update, or a full tune up. Contact us online or give us a call on 01202 424945 and we can get you back on the road in no time. We offer a full range of workshop services from our fully equipped workshop. Keep your bike up to date. Recommended every 3-12 months, depending on use. Keep your bike’s software at its best with the latest updates from the manufacturer. Safety Check + Adjustments and Lubrication. Includes everything from our standard service at £45 as well as some e-bike specific extras. We drop out of the motor and clean up inside plus check all connections and run a service update. Parts fitted at an additional cost. Recommended every 12-18 months, depending on use. Our most comprehensive service has your bike covered down to the nitty-gritty details. The full service offers you a thorough overhaul, with the aim of restoring your bike to how it worked when it was brand new. In most cases it comes out better than new! Includes everything from our premium service, which is specific to your bike type, plus the bike specific extras fro out standard e-bike service. See our full list of bicycle repair services available from our workshop. We offer a super fast turn-a-round time and a quality guarantee. Please note: if your e-bike has had a dongle fitted, you must notify us. Failure to do so will result in an extra charge and will mean we are un able to guarantee our work. De restrictor kits must be removed before servicing. Yo can do it yourself, or if you would like us to do it so we can service your bike, then there will be a charge to do so. The charge will be dependant on the work involved.